On 1 July 2015, the revised sunspot number (SN) was introduced by the World Data Center SILSO (see this press item). This "Version 2.0" obviously affects the maximum and minimum values of each solar cycle (SC), as well as some of the related timings, i.e. 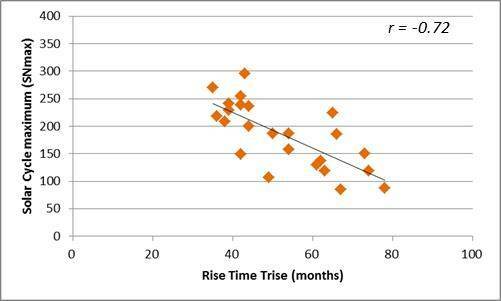 the time it takes for solar activity to rise from minimum to maximum (Trise), and back to the next minimum (Tfall). 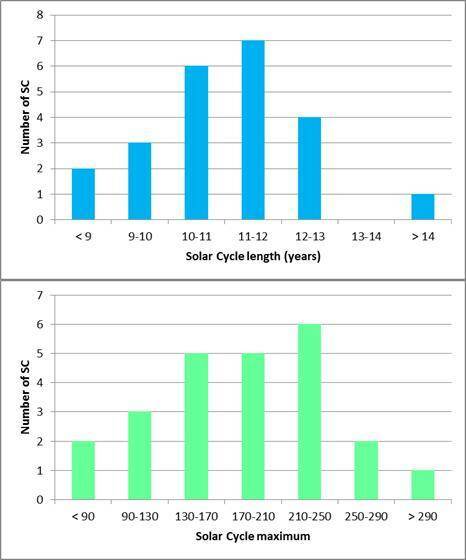 These solar cycle characteristics are illustrated in the graph above for the previous and ongoing solar cycle. They are calculated using the Meeus smoothing formula (see Meeus J., 1958). As there exist several types of smoothing formulas and methods, (slightly) different values can be obtained for the various cycle parameters when using another formula. The graph above shows the various solar cycles according to the old and new version of the sunspot number resp. shown in blue and red color. 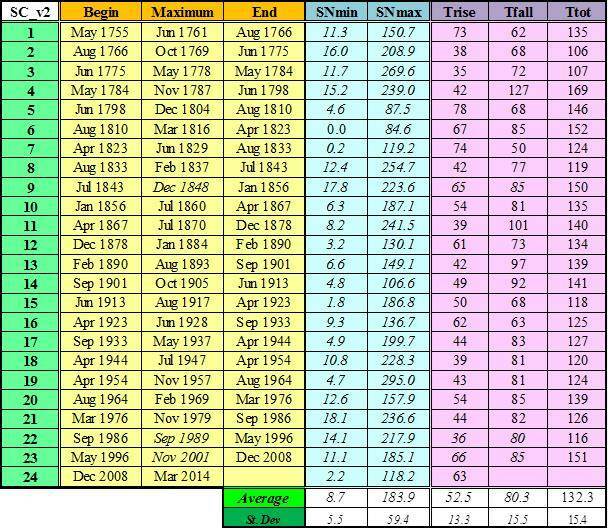 The table underneath provides the timings for beginning, maximum and end of each SC, as well as the values for SC minimum and maximum, Trise and Tfall (in months). Data in italics indicate differences from the "Version 1.0" results, which can still be found e.g. here. The last two rows present the average and standard error for the various parameters. Frequent users of the sunspot data will probably need some time to get used to the new values. For example, in the new version, the maximum of SC19 is now 295.0, in stead of 208.4 in the old version. For the ongoing SC24, maximum is 118.2 in stead of 83.7. 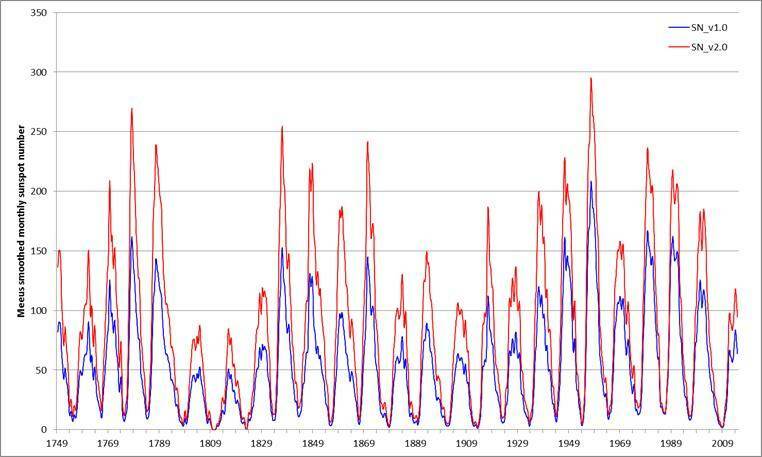 Yet the overall distribution of the solar cycles for e.g. the total duration or the maximum sunspot number, remains pretty much the same as can be seen from graphs underneath (resp. blue and green bars). SC04, with its duration of 169 months, still remains an outlier compared to the other solar cycles, whereas SC02 and SC03 remain the only two solar cycles with a duration less than 9 years. 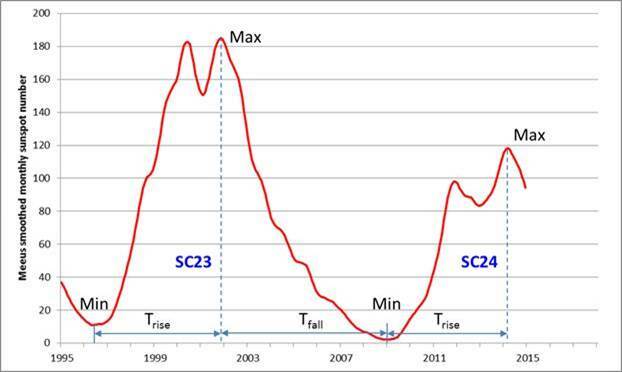 The maximum of SC19 remains at the extremely high end, in contrast to SC05 and SC06 -constituting the famous Dalton minimum- which are the only two cycles with a maximum smoothed monthly sunspot number of less than 100. Some empirically found "laws" continue to hold. One of such laws is the famous Waldmeier law, stating that the longer (shorter) the rise time Trise of a solar cycle, the lower (higher) the corresponding maximum (SNmax). This relationship still correlates quite well, though the correlation factor "r" ("best fit") has decreased somewhat: from r = -0.77 in the old version to the current r = -0.72. 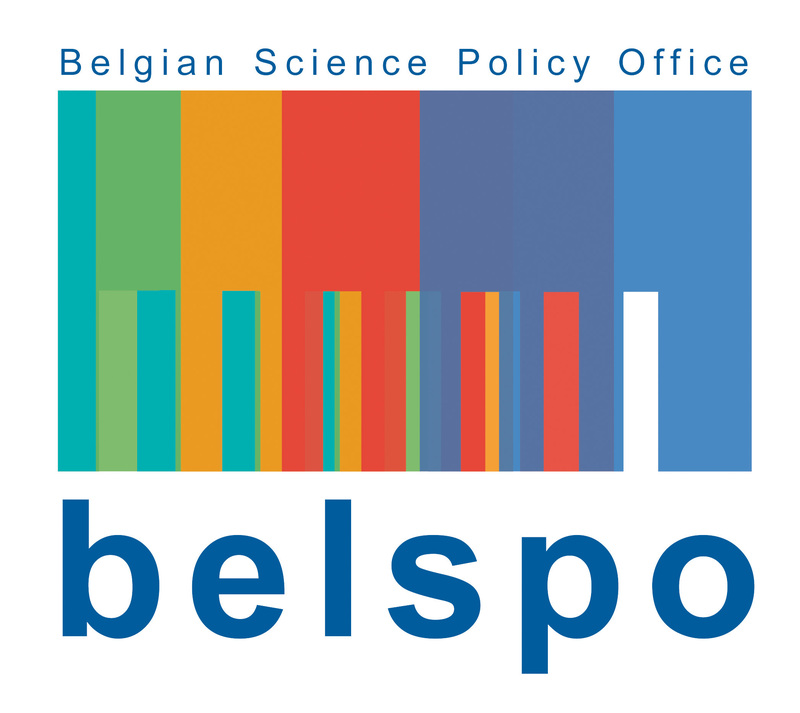 Credits - Data for the graphs in this news item were obtained from WDC-SILSO, Royal Observatory of Belgium, Brussels.